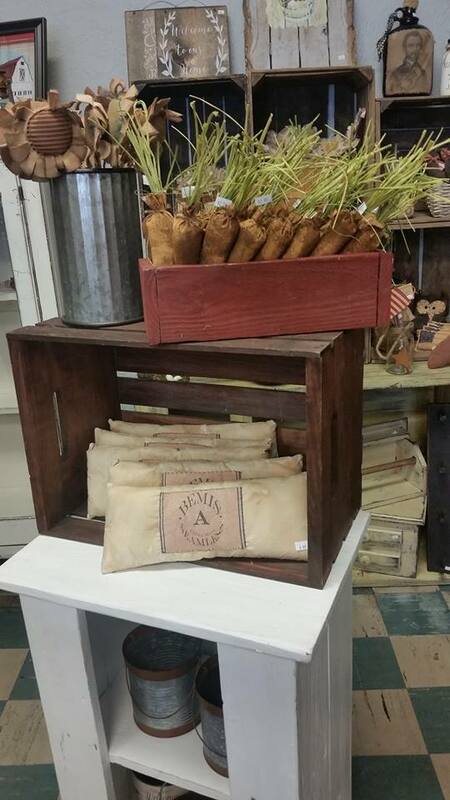 Cute small town shop that features locally-made products, primitives and farmhouse décor. Will be closed December 22nd, 2018 until mid February 2019. Regular hours: Wednesday 10 a.m. – 4 p.m. , Thursday – 10 a.m. to 4 p.m. , Friday – 10 a.m. to 5 p.m. & Saturday – 10 a.m. to 4 p.m.